"I was struck by the amazing array of street art, sometimes lurking in dark corners, sometimes as prominent features. I was soon following my other passion, photography, and photographing them whenever possible." "It became clear to me that it was important to keep some kind of record of these pieces as they could disappear from one day to the next. So the natural follow on for me was to develop a website to display these photos." The site enables you to view street art in three main ways: using a Bristol city map, by type or by area. The city map indicates the location of the Bristol Street Art pieces using pins, hover over a pin and a photo is displayed along with some additional information. Clicking the photo takes you to a page with a full-size photo. 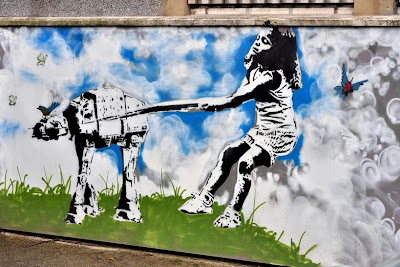 Additionally you can choose to display only the pins for a specific type of street art, for example stencil art, or only from a certain area of Bristol, say Montpelier. 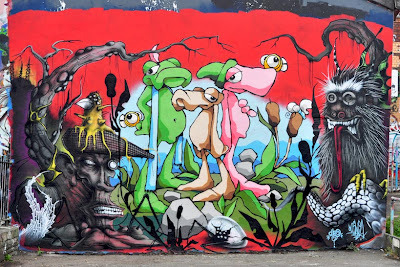 Justin wants the site to become a reference for Bristol street art and to enable the site to grow and develop he has invited other enthusiasts and street artists to become involved by contributing their own wall art / street art photos to the website. As the website grows it will offer a unique picture of street art at different times and places in Bristol. 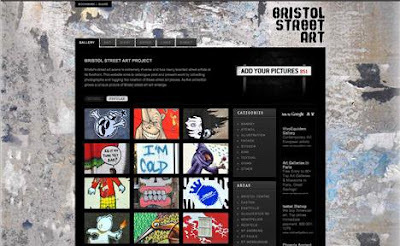 Visit the site here and be sure and upload your Bristol street art photos if you have any.